EUROPEADA – Football Championship of the autochthonous national minorities in europe. EUROPEADA 2020 – Football Championship of the autochthonous national minorities in europe. - The European football championship of the autochthonous, national minorities organised by the Federal Union of European Nationalities (FUEN) will take place for the third time already. In 2020, the EUROPEADA – the European football championship of the autochthonous national minorities, will take place for the 4th time. Two applicants had expressed their interest to host the football championship of the autochthonous minorities in 2020. The winning Team has been chosen!!! Following the EUROPEADA, in 2008 hosted by the Romansh people in Grisons/Switzerland, in 2012 hosted by the Lusatian Sorbs in Germany and in 2016 hosted by the German-speaking South Tyroleans and the Ladins in South Tyrol/Italy, will the EUROPEADA be hosted by the Carinthian Slovenes with the motto “The EUROPEADA 2020 in Carinthia/Koroška – TOGETHER UNIQUE/SKUPNO ENKRATNI - together we celebrate the uniqueness of our diversity in Europe“. The EUROPEADA is a major European event that connects the fair competition and the enthusiasm for a sporting event with the interests of the autochthonous national minorities. The focus is on the encounter, the exchange of minorities and the public promotion. 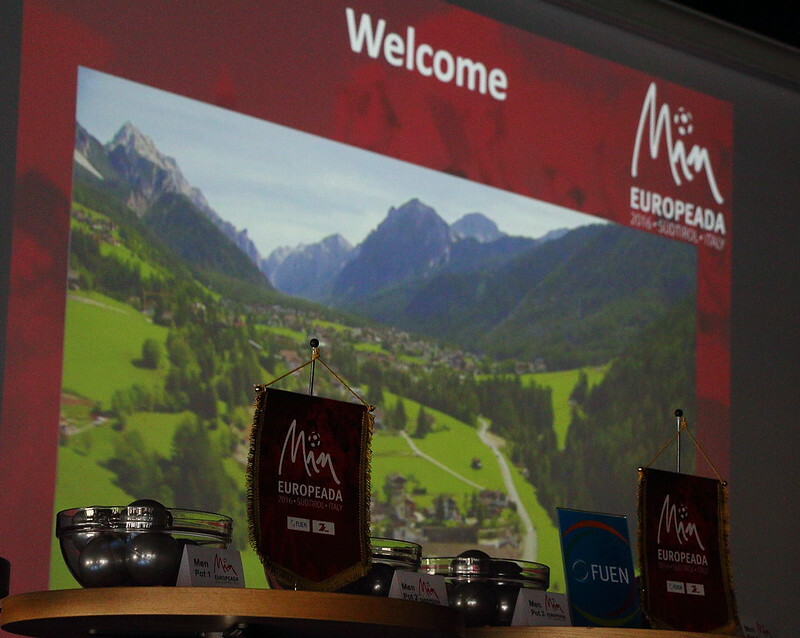 FUEN is the organiser of the EUROPEADA. The EUROPEADA brings a great opportunity for long-established diverse minorities to meet - this is what makes this football EM a truly unique sporting event. An integral part of the EUROPEADA is the cultural day, in which the individual minorities will present themselves. Did you know that almost every seventh European belongs to an autochthonous minority? FUEN represents the interests of these European minorities on the regional, national and in particular on the European level. With more than 90 member organisations in 33 European countries, FUEN is the largest umbrella organisation of the autochthonous, national minorities in Europe. FUEN works for the preservation and the promotion of the identity, language, culture, rights and traditions of the European minorities. FUEN is their voice at the international organisations, foremost the European Union and the Council of Europe, but also at the United Nations and the OSCE. FUEN was founded in Paris in 1949, and is currently based in three locations: in Flensburg, Berlin and Brussels.